Starting with the company’s 2019 QLED models, Samsung television owners will be able to use their voice to control their television sets through Google Assistant and Amazon Alexa, as well as Samsung’s Bixby digital assistant. The South Korean electronics giant announced the news on January 6th, 2019 during its CES 2019 keynote in Las Vegas. While this is a major step forward for the company, Samsung isn’t allowing users to completely replace Bixby just yet. To start, neither Google Assistant nor Alexa will be built into the company’s new TV sets. Instead, owners of Samsung’s new QLED TV sets will need to supply their own smart speaker, whether that be Google Home, Amazon Echo or a third-party speaker like the Sonos One that has one or both voice-activated assistants built-in. Additionally, support for Alexa and Google Assistant is rudimentary. Users will be able to take advantage of those platforms to turn their TVs on and off, adjust volume, switch inputs and launch select apps, but not use some of the more advanced functionality offered by Bixby. 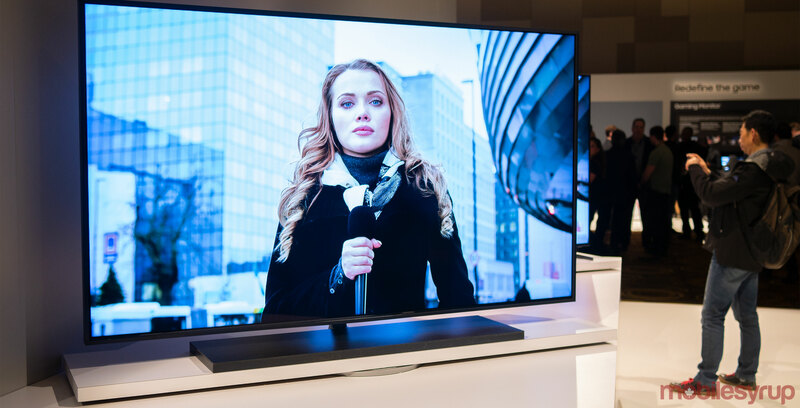 At the moment, Samsung has yet to commit to supporting Google Assistant and Alexa on its older TV sets, though the company has a track record of updating its older models with new features, such as when it upgraded its 2018 QLED TV lineup to support AMD’s FreeSync platform. On Sunday, Samsung also announced that it’s bringing iTunes to its 2018 and 2019 TV lineups sometime this spring. LG also announced that it would support Apple’s Air Play 2 on its 2019 smart TVs. LG’s TVs will also support HomeKit and HomePod.